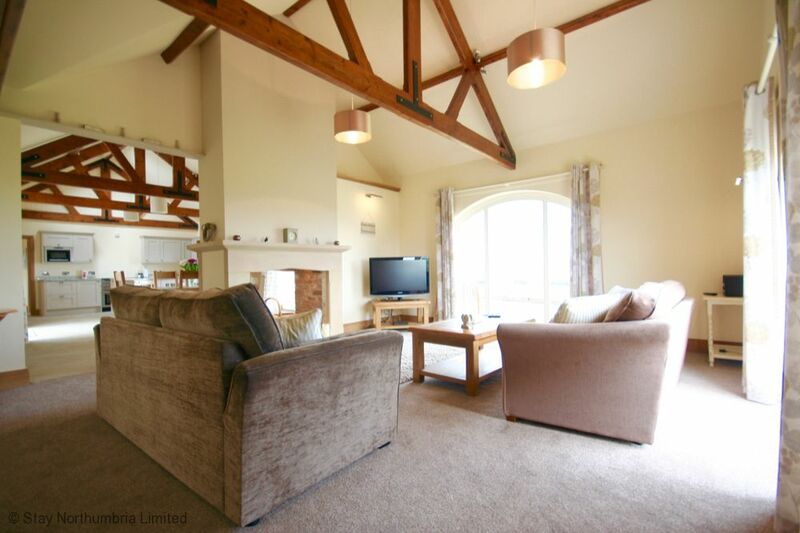 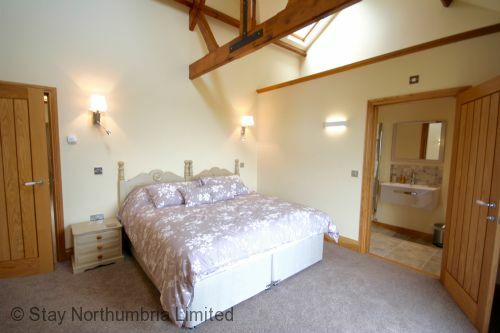 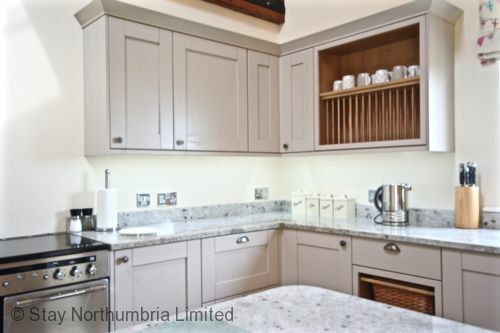 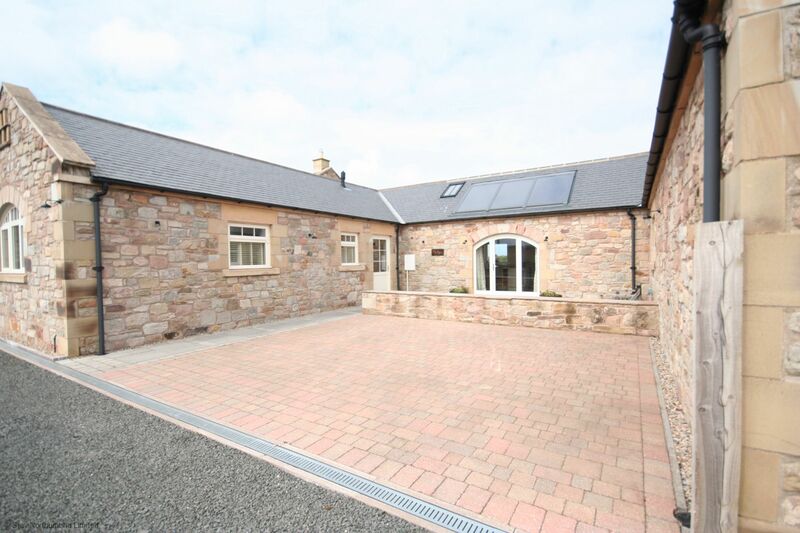 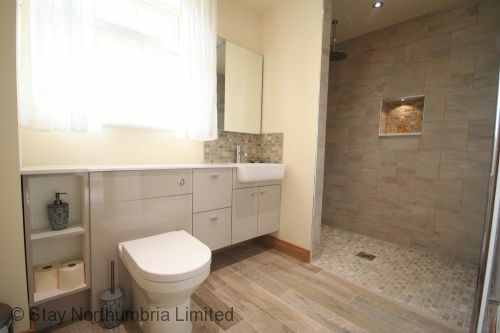 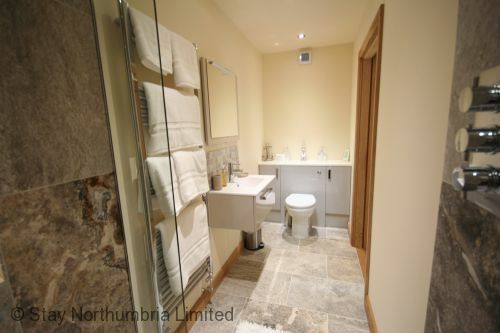 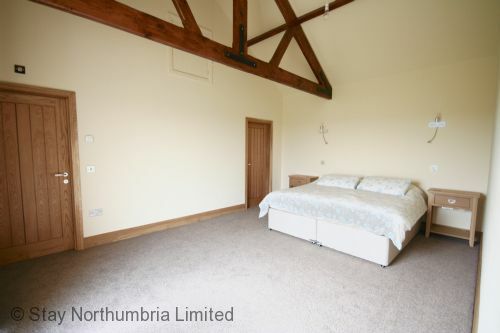 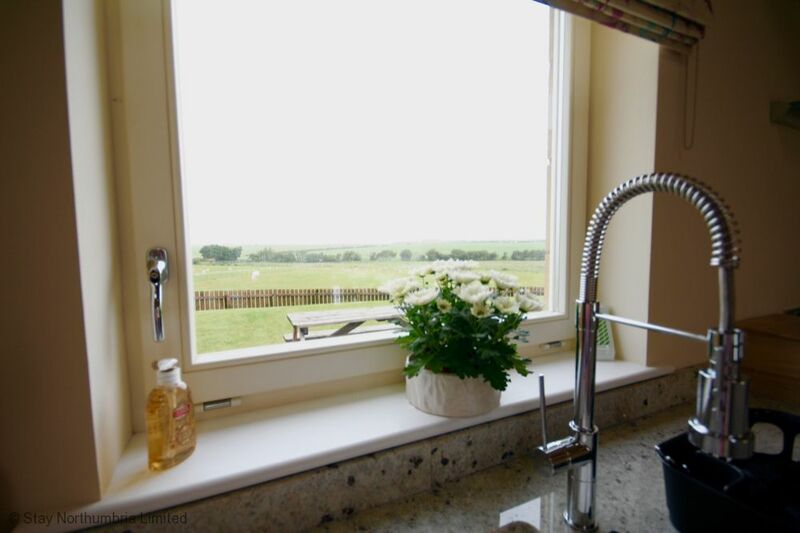 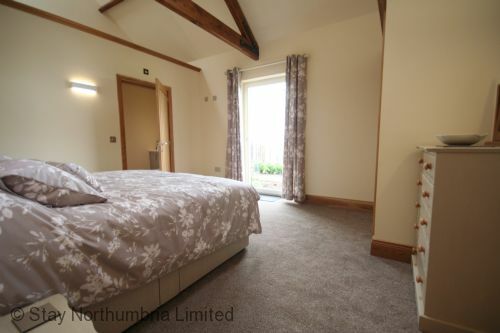 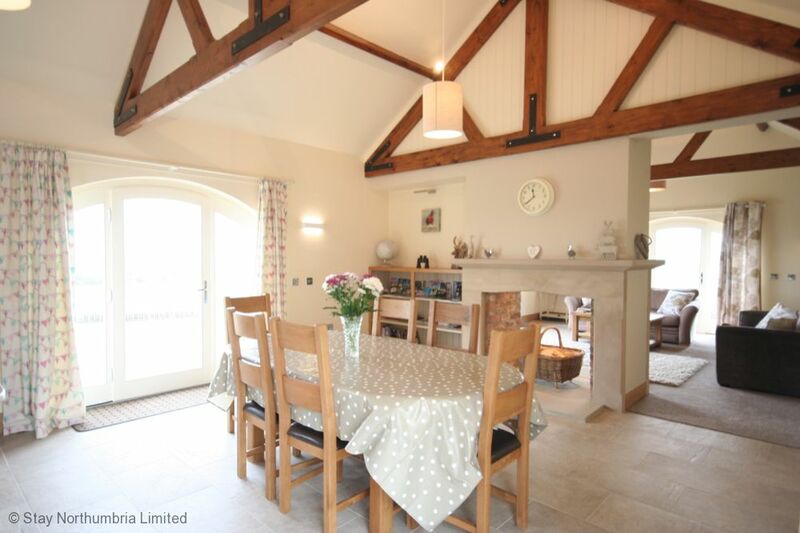 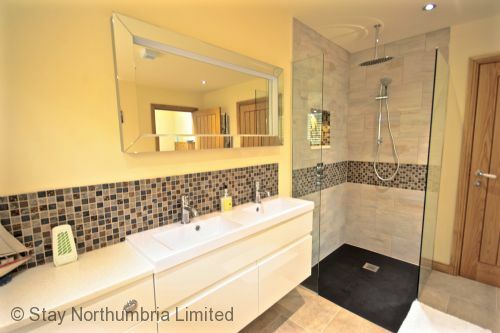 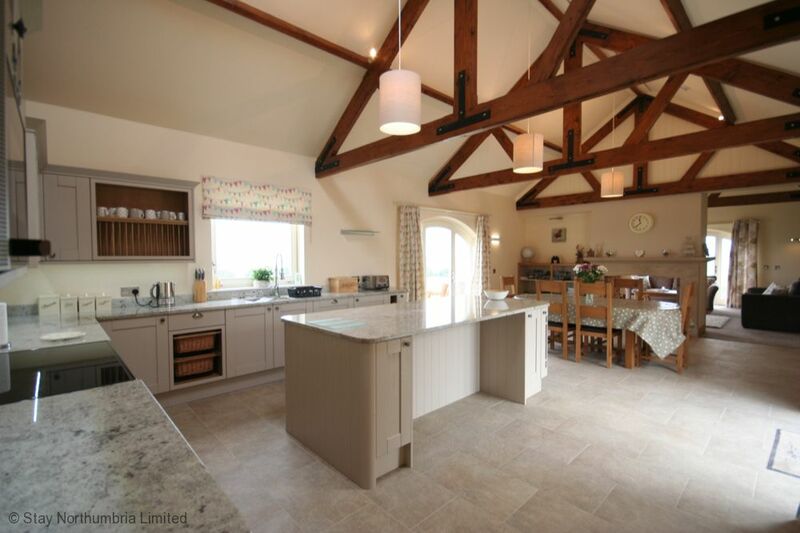 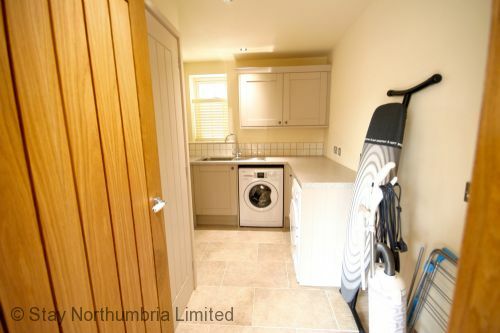 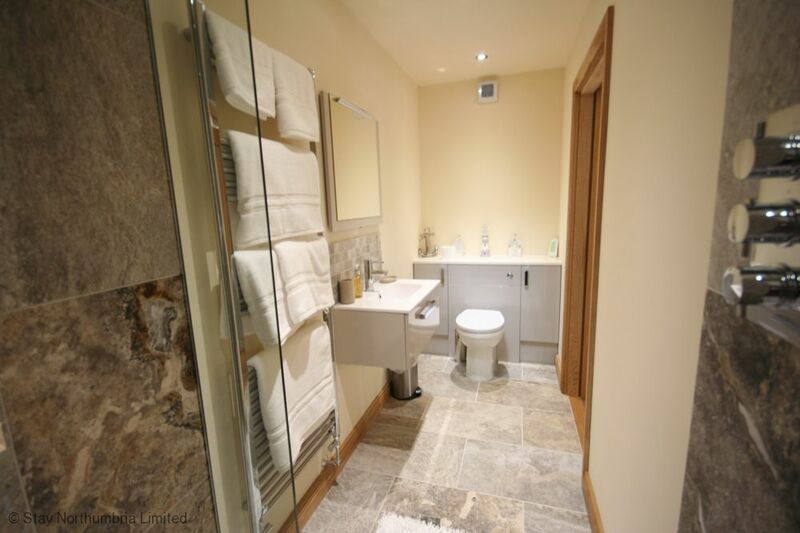 Single storey barn conversion providing fantastic quality Northumberland holiday cottage with countryside and sea views. 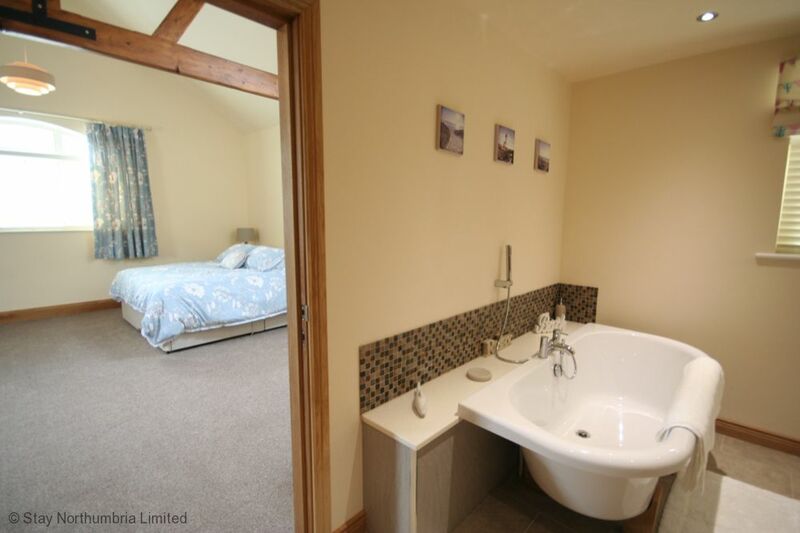 Sleeps up to 8 in 4 bedrooms, 3 bathrooms. 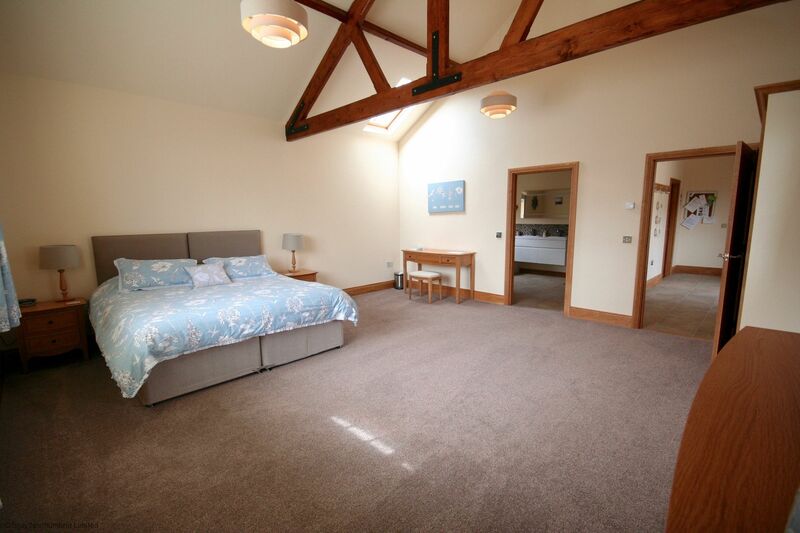 Huge living space, wi-fi, parking for 3 cars. Close to beaches & villages. 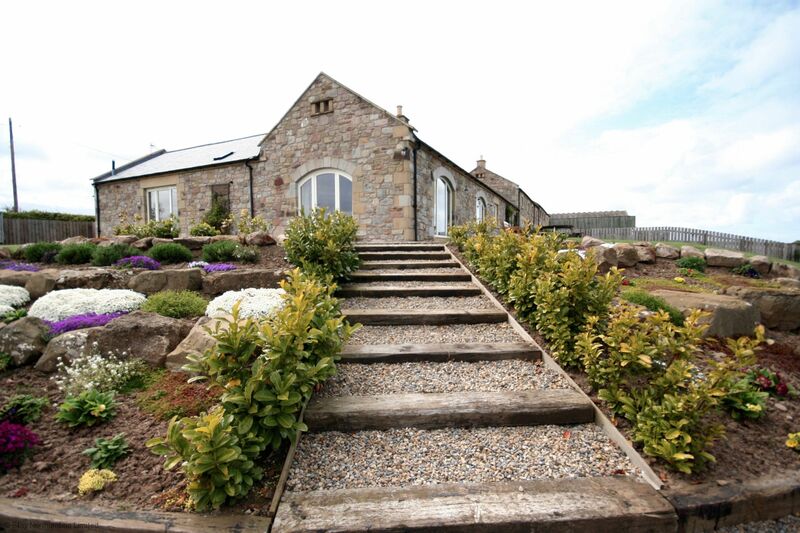 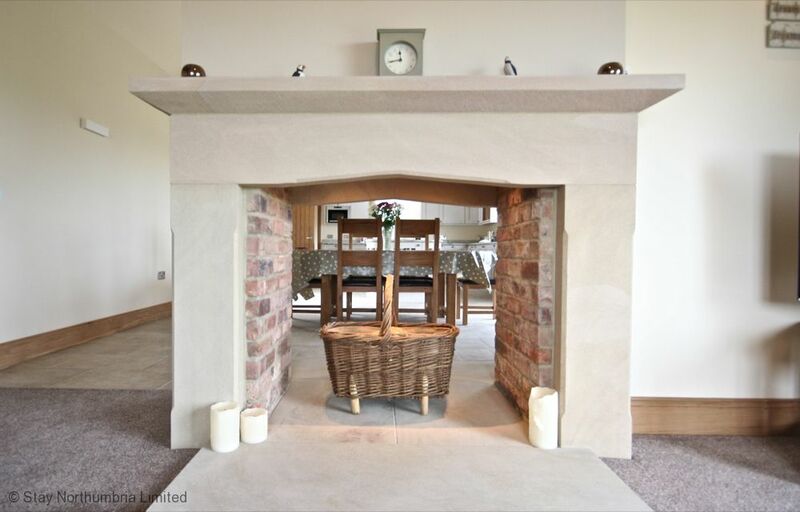 A luxurious single story stone barn conversion with lovely garden and distant uninterrupted views to the sea and Farne Islands. The decoration, building finishes, bathroom finishes are all beautiful, and the kitchen offers a spacious working area with granite worktops, centre island, range cooker and dining area. 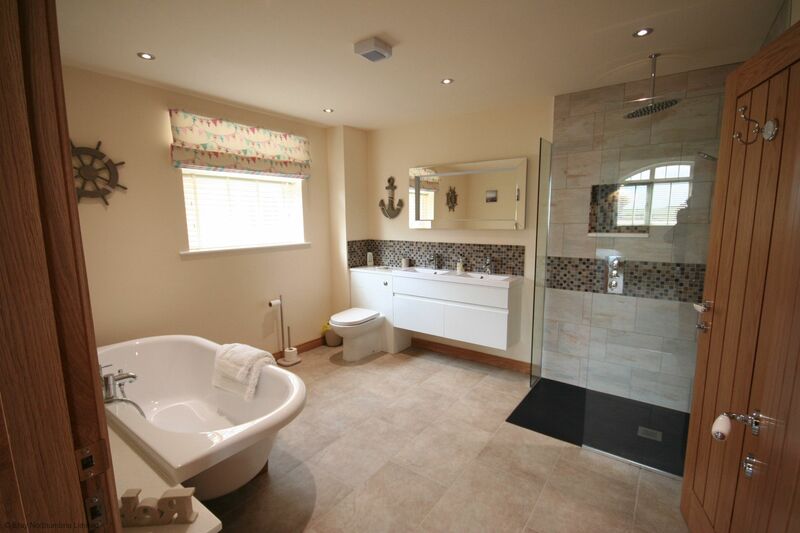 All heating is underfloor, and water is heated by solar, making it a very eco friendly house. 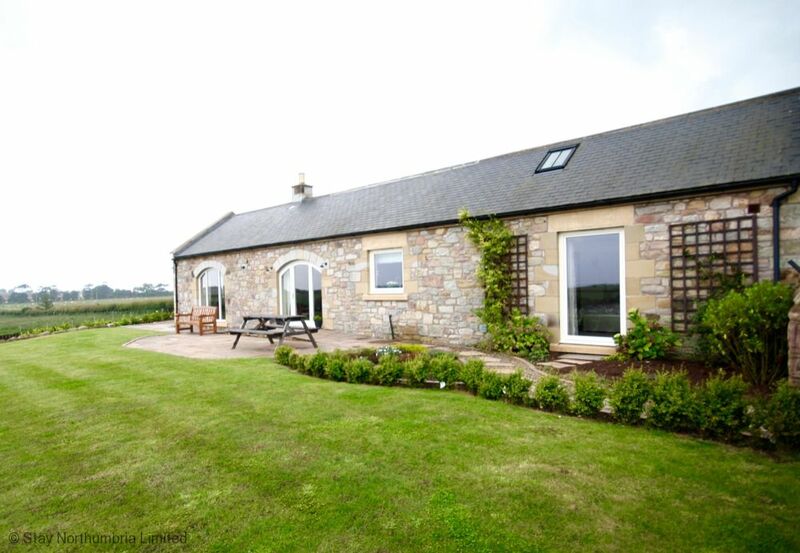 With parking for up to 2 cars and a lovely landscaped garden this holiday house ticks all the boxes. It's a short walk into the village of Seahouses, with its array of shops, pubs and restaurants, as well as the harbour from where you can take trips over to the Farne Islands. 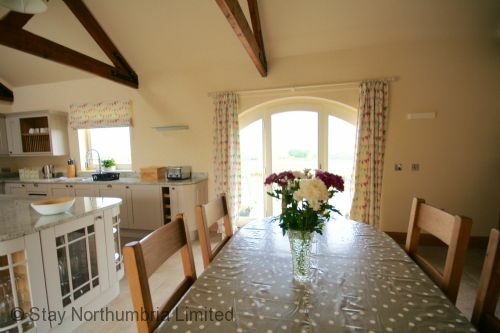 The cottage is also just a 1 mile walk along a country lane to the beach. 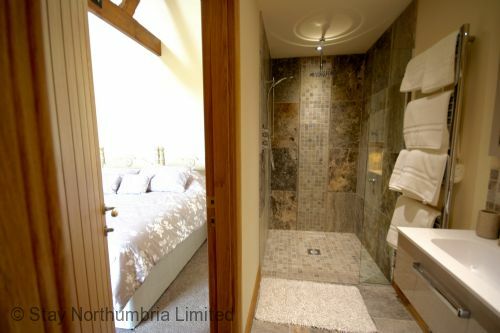 Bedroom 1 - ensuite access to the family bathroom with bath and rain shower (jack n'jill style access). Sorry the Byre does not accept dogs. 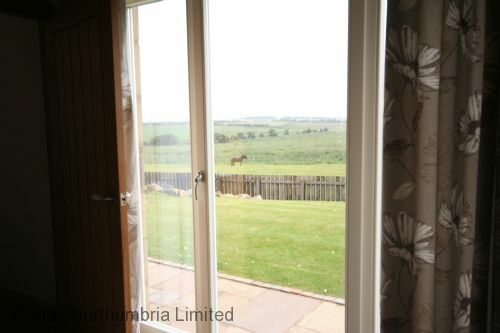 Just a mile into the centre of Seahouses on foot, the Byre offers access to the village and all its amenities, from the busy harbour where seating is provided so you can while away the hours watching the toings and froings of harbour life, or stretch your legs on the beautiful beaches which run North and South and are ideal for leisurely walks, or for those more adventurous try the 6 mile return beach walk to Bamburgh, or the 14 mile return journey to Newton by the Sea (great pub awaits for the mid walk break). 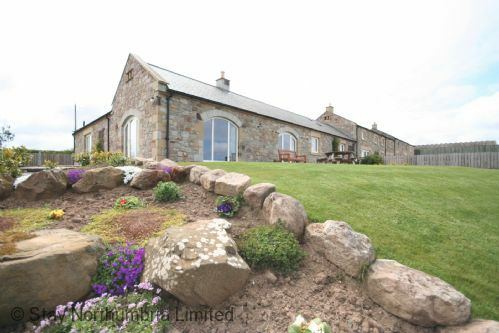 The Byre is close to all the village amenities - shops, butchers, bakers (no candlestick maker tho), pubs & restaurants, newsagents, petrol station, library, resource centre for internet access, takeaways, and the harbour where you can leave on excursions to visit the Farne Islands, to see Puffins (May to July), Grey Seals and many other species of birds. 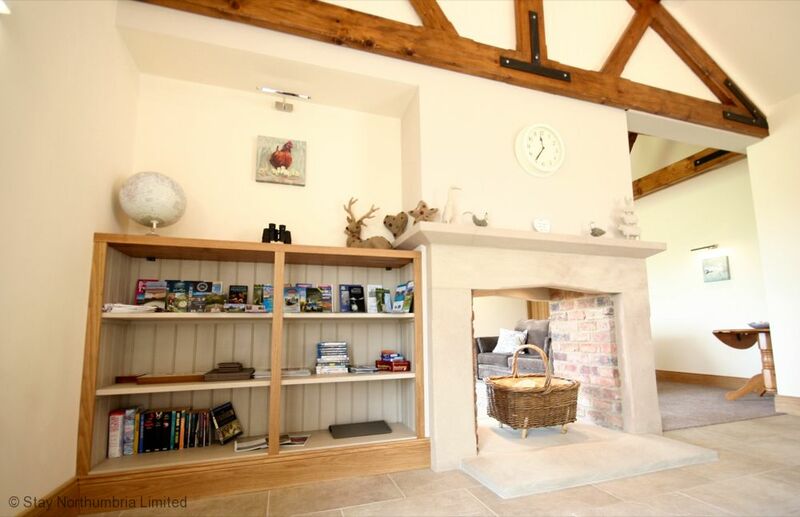 The area is popular with birdwatchers and photographers.